The dream of entering a symbolic dialogue with an animal species is probably as old as language. We pretend to “talk” to animals, and to get answers. When it comes to non-anthropomorphic species, the process is even trickier and leaves room for the romantic idea of contemplation. Insect songs by U. Damm, C. Meissner and T. Carasco make a specific attempt, pressured by an alarming viral study, affirming that we’ve lost 80% of insects’ presence on the planet. 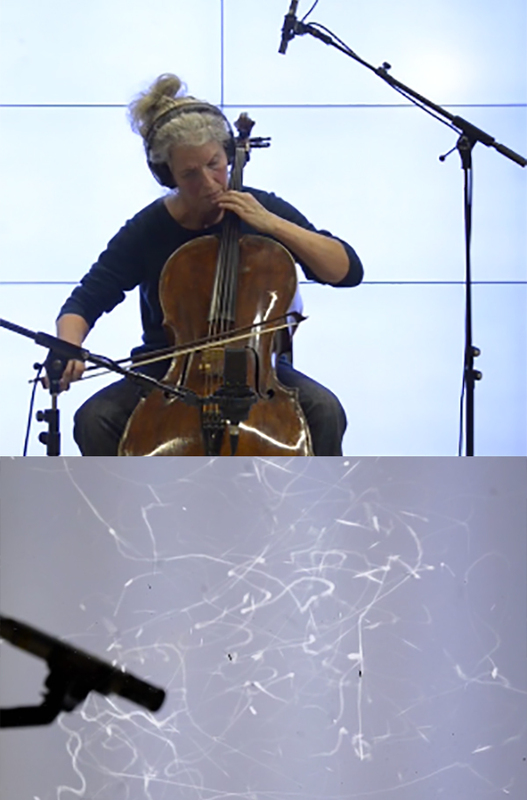 They perform Cello to Chironomid midges (Chironomus riparius, commonly used in ecotoxicology), stimulating an intensive swarming. Playing for insects implies assumptions, but also a mindset, which can equally be transmitted and possibly perceived.